Daley Padley, or better known as Hot Since 82 as his stage name, began his electronic music career as early as 14 years of age when he frequented local night clubs to demonstrate his abilities to the audience. Formal DJ career started when he was 17 after he was invited to play each Sunday at a club in his hometown. His skills attracted clubbers in the area, and words spread fast that a young talent regularly performed every Sunday at the club. Soon after, he was invited to join the stage at Cream Ibiza, the big league for DJs. Thanks to the afterparty in Ibiza, one of the most renowned producers of the electronic music scene, Noir, happened to be interested in one of Padley' tracks, which at the time was still a work in progress. Nevertheless. Noir decided to release "Let it RIde" under his label in 2011. His first album, Little Black Book, was released in 2013 under Moda Black Records. His songs have frequently been featured in Pete Tong (of BBC Radio 1)' essential mix. In 2017, he was nominated for Producer of the Year at the Electronic Music Awards. 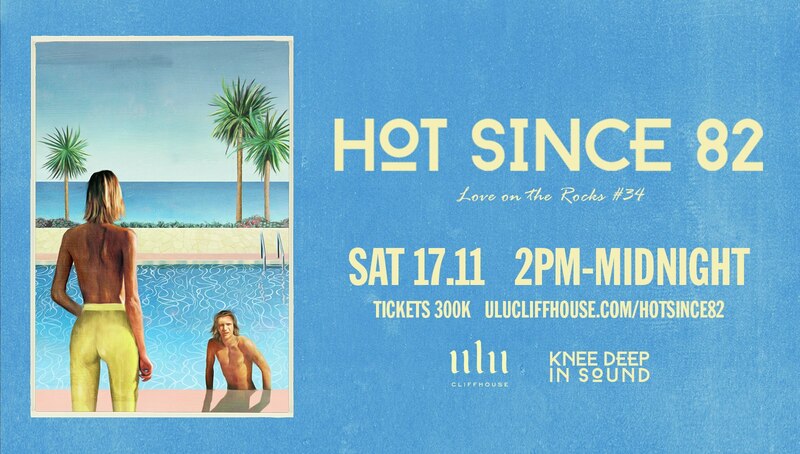 Now he is ready to bring his music to Ulu Cliffhouse, a place that redefines the beach club experience. Stunning views, good food, great pool, and cold drinks combined with the right tunes are not to be missed for anyone who wishes to experience the best of Bali and her magical charm. Don't miss it, because it surely is going to be HOT with Padley behind the turntables.